What is Keyword Research and what are its benefits? Hello everyone, Today we will learn about keyword research in detail. What is keyword research, what are its benefits, what are keyword research tools, and how to start with keyword research. Before understanding this, we have to understand what the keywords are. Whenever we do some searches in the search engine, then do some sentences or a sentence made of a group of words. For the example we searched on Google, "Top 10 Blogs in India". So this is a keyword. Likewise, millions of people search on Google or any other search engine with the help of keywords. What happens now is that many people search for the same keyword. Like there are thousands of searches for a particular keyword. Your blog post will have to optimize SEO for that keyword. If you come to basic on-page SEO then you can easily do it. Search for keywords like keyword research Keyword research means finding some great keywords to rank your blog or website in the search engine. Now let me tell you that some keywords are such that there are many searches but already that keyword is targeted by many people, then it is difficult to rank them. So call it SEO competition. In the keyword search, we will have to find keywords whose searches are also adequate and the competition is also low. There is not a single specific method of Keyword research, but there are many different methods. Different webmasters use different tools for keyword research. Nowadays many tools are available for keyword research, but most of the tools in it are premium, that is, you have to pay something for them. Now let me briefly tell you what you can do with these keyword research tools? According to your niche, you can find some relevant keywords. You can find more relevant keywords for a relevant specific keyword. For any keyword, you can analyze the competition in the search engine. Can find number of searches for any keyword. Know which sites are already ranking for this keyword and can track their position too. SEMRush is a very powerful tool out of the above tools. 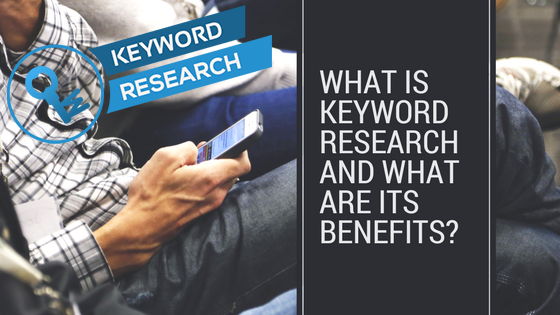 Now let us also know about the benefits of keyword research. If you write every blog post by keyword research, then it is possible that every blog post will target your traffic and will participate in increasing the traffic of your blog. (Most blogs do not do this, because most bloggers do not write every blog post by keyword research. By searching Keyword, you target niche based traffic which is great for affiliate marketing through your blog and the conversion rate of clicks on ads is also more than usual. In a way, you get ideas to write blog posts on your blog. In this way you will not have to think about what new publish on your blog everyday. You can gain more traffic by analyzing your competitors' keywords. The more keywords that your site will rank on, the more your domain's search engine will be ranked, that is, the domain Autority will also increase. According to my experience blog posts which I targeted by keyword research, there are more comments on it, and even shares. I Hope you have read this blog post and have understood the concept of keyword research and you have realized its importance too. If you were not paying attention to the keyword research so far, then now must start giving up. Also if you like this post, please share it. Join us on Facebook, Twitter and Google+.